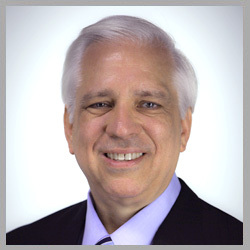 The Safety in Spine Surgery Project (S3P) is so excited to welcome Dr. Stephen Ondra to its board. Dr. Ondra provides a unique and broad perspective of the healthcare landscape and we look forward to his contributions to make care better for the field! KW: Dr. Stephen Ondra, welcome to the board! Do you want to tell our readers a little bit about yourself and why you’re interested in the mission of S3P? SO: Thank you Kevin. I’m Steve Ondra, and I’ve been a spine surgeon for many years. I left spine practice at the end of 2008. I’ve had an unusual journey through healthcare. In the journey, I’ve been able to work in high levels in virtually every sector of the healthcare space, and that’s what is so unusual about it. I was a spine surgeon at Northwestern University but before that I was in practice in both the private sectors and academic sectors, so I’ve done both of those. I’ve done research in both basic science and clinical. I’ve also helped develop medical devices and held intellectual property in that area. So that gave me a broad view of healthcare from the surgeon, researcher, educator perspective as the residency program director at Northwestern. When I left practice, it was to go into government. In government I served as a high level and policy making and policy implementation in the federal government. I left that role in 2012 and went back to Northwestern as the Senior Vice President and Chief Medical Officer for the health system. Then I was recruited and joined in the parent company of five Blue Cross Blue Shield plans, a company called HCSC overseeing all clinical operations for the plans. That has given me a look at healthcare from virtually every sector. And I should include that I’ve been a patient, which is probably the most important perspective, because I’ve received care and had my children receive care. So, I bring a broad perspective. It doesn’t necessarily give you answers to all the challenges we face in healthcare in this country, and frankly around the world, but it gives me a pretty broad and balanced perspective in how all the stakeholders in the space see a problem. And that’s important, because something as interconnected as healthcare, its very many actors and web of relationships. Anytime you look at a problem and think about solutions, you need to understand what’s relevant, how it meets the need, and how it will work, for not just one area of healthcare but all the various areas of the healthcare ecosystem that intersect on that problem. KW: Do you have a personal safety story from your time in practice? What were some of the lessons in how it changed your practice? SO: I wish I only had one. We all have far too many safety experiences. Let me pick out one that is not only memorable but led to figuring out how to address the problem and a solution. I was doing something that wasn’t all that uncommon to my practice, which was a revision scoliosis surgery. It was upper thoracic spine to pelvis revision. Those are always hard, long days. And along the way the patient became increasingly coagulopathic. We had normal conversations with anesthesia and they didn’t feel that things were getting at risk but they definitely looked uncomfortable to me. A lot of conversation. At one point, the patient became so coagulopathic that I said, “you know what, I think we’re going to call it a day.” We’re going to close and go have an unplanned staging of this procedure. At the end of that, we all too often walk away, grumble to our colleagues, and complain about the hard case, and that’s kind of where it ends. But I didn’t want it to end there. We ended up creating a Morbidity and Mortality review, had a sentinel event safety meeting at the institution for everyone involved. In the discussion, it increasingly became clear that this wasn’t the first time that it happened. In fact, fluid management intra- and perioperatively has been a point of contention between surgeon and anesthesia. It became clear that surgeons were managing it in one way and anesthesia was managing it in different ways. There was far too much variability and inconsistency in what was being done, and people in general were just not on the same page. It was like Groundhog Day. So instead of bringing surgeons and anesthesia together, we decided to bring specialists from many fields. Obviously, spine surgeons from the orthopedic and neurosurgery fields, we brought in anesthesia, critical care medicine, hematology, pathology, and other related fields to look at this problem of perioperative management and in particular fluid and fluid resuscitation management to see what we could do to create a protocol to give us more consistent and better management. It was interesting that getting hematology involved really changed anesthesia’s thinking on what was state of the art to manage fluid management and resuscitation. It made the surgeons look at what we were doing and how we were doing it. Everyone came away from that being much more informed. We made collaborative decisions and that ultimately led to what became the Northwestern Spine Anesthesia surgical protocol that created that consistent, state of the art management that improved overall patient safety and around the country and the world because many institutions adopted that protocol. So that’s a good example of a safety and management problem that was looked at thoughtfully and created a solution that improved safety. KW: Thanks for being so transparent. One of the goals of S3P is to create a safe space for others to share and learn from each other’s experiences so that it doesn’t happen to the next patient. Shifting hats a little, you have so much perspective of the various stakeholders. How do you see the landscape of spine care changing? So, we’re moving to some value-based incentive. It’s going to look differently in different spaces around the country. I argue that this will be better for patients but also some physicians. But the first thing is what do we mean by value? Some people will respond that very differently, but I think a good definition of value is the quality of an outcome divided by the cost with caveat that the numerator can never get smaller and the absolute number must get bigger. We could have a longer discussion, but for the sake of time, I’ll leave it at that. For spine surgery, it’s going to have some real challenges because we have a really difficult time showing what our outcomes are because we have a hard time with low back pain. Is it from degenerative disc disease, an unstable spondylolisthesis, and stable spondylolisthesis? Is it deformity? Is that deformity sagittal or coronal plane deformity? How much axial plane rotation is there? So, we’ve had a hard time. Spine is such a diverse set of patho-physiologies underneath that we’ve had a hard time categorizing real outcomes and demonstrating real value compared to other treatments. If we don’t do that, then we are putting ourselves at a real dis-advantage because as imperfect as it may be, as we bucket things together into subsets that we can look at, and in doing that won’t give us perfect answers, if we don’t do it as spine surgeons, someone will do it for us. That is an outcome that won’t give the kind of answers that our patients need and will be good for the field. The landscape of spine surgery is changing. It’s changing because the landscape of healthcare is changing. and we need to recognize the unique challenges of our specialty and be a part of the solution. 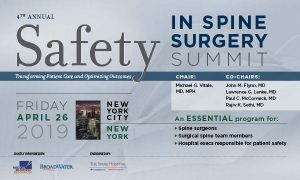 KW: What are the new rules of engagement for spine surgeons? Three things they can do that can help them get a seat at the table. and what are the best practice patterns for those indications. We as surgeons need to be a part of that discussion and recognize it won’t be perfect. There will be some unfairness but being part of it will create a more accurate, fair approach then would be done without us. Editors’ Note: This transcript has been lightly edited for clarity.